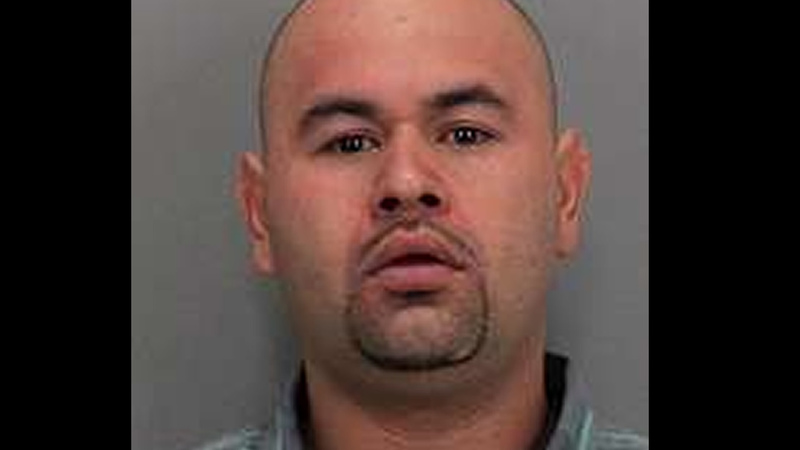 SAN JOSE, Calif. (KGO) -- San Jose police say Pedro Cortez Bernal, 29, has surrendered to the Santa Clara County Sheriffs Office in connection to a fatal hit and run accident on Tuesday. San Jose Police arrived and took custody of the suspect and booked him into the Santa Clara County Jail for felony hit and run. Just after 7 a.m. on Tuesday, officers responded to the area of North White Road and Florence Avenue in San Jose for a report of a vehicle that collided with a pedestrian. Upon arrival, police found an adult male down on the roadway suffering from serious injuries. Medical personnel arrived on scene and pronounced the victim deceased a short time later. Preliminary investigation revealed a white Ford full size pick-up truck was traveling northbound on White Road when it collided with the pedestrian in the roadway. After colliding with the pedestrian the suspect vehicle fled the scene and did not return. The suspect vehicle was described as white Ford pick-up truck,black rims, full-size, raised, tinted windows with a loud exhaust. On Wednesday, October 14, 2015, officers on routine patrol located the suspected white Ford pick up truck in the area of N. Capitol Avenue near Alum Rock Avenue unoccupied. The white truck was towed away from the area and stored as evidence.